Piedmont Picnic in the News! 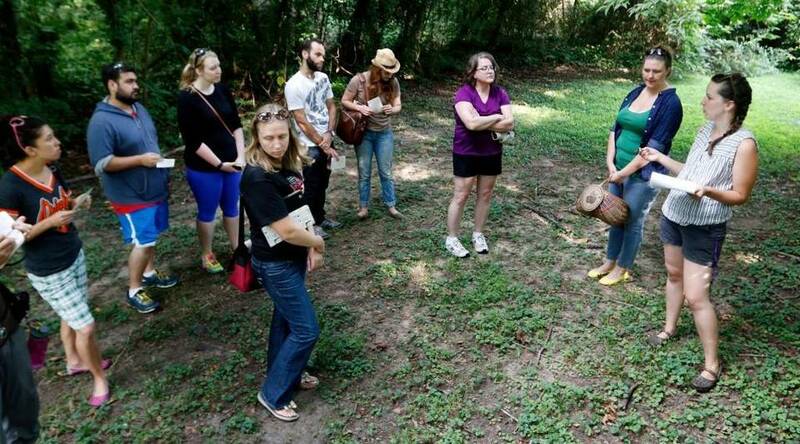 Thanks to everyone who joined our August Wild History Foraging Tour + Light Picnic this past Saturday! We had a great tour learning about three different approaches to urban foraging and then chowing down on delicious brunch fare made with all of the plants we had talked about that day. See our full gallery here. We also had a couple of special visitors with us this week – reporters from the Raleigh News and Observer! You can find a great piece on our tour and on what we do here at Piedmont Picnic Project on the front page of the local section in this past Sunday’s paper or online here. Our tour started and ended at Raleigh City Farm – which gives us a great example of how to incorporate traditionally wild edible plants into our decorative or edible landscape – providing beauty to our gardens, shelter and food to wildlife and pollinators, and interesting new foods to us! 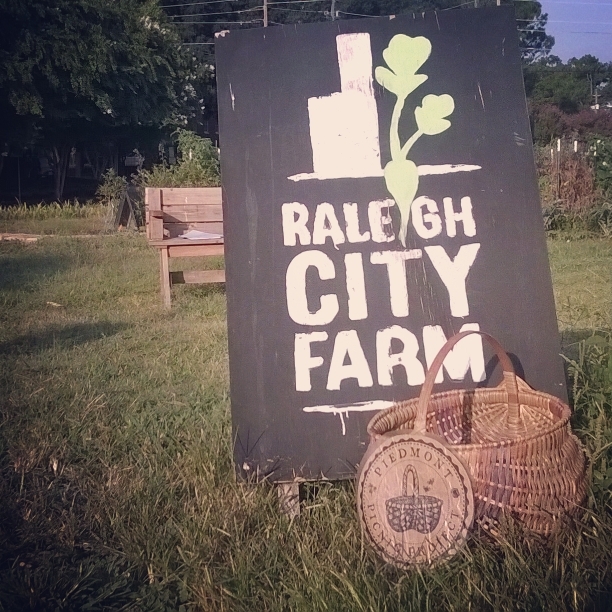 We’ll be having several more events and classes at Raleigh City Farm this fall – including our Family Reunion One-Year Anniversary Party and our Fall Veggies: It ain’t over till it’s over class series – so stay tuned to our Events page to learn more! We’ll forage edible wild plants together from the area surrounding Raleigh City Farm and then taste dishes made from the same plants! We will review foraging guidelines and safety as well as instruction on plant uses and identification. 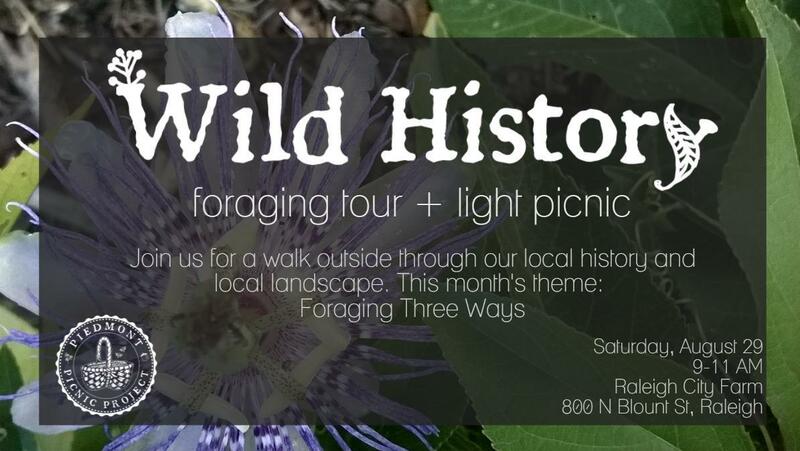 Along the way, we’ll share history about the local area and this month’s theme: Foraging Three Ways. We’ll talk about three ways to forage in the urban environment: (1) finding edible wild plants in public spaces, (2) borrowing excess edible plants from your neighbors, or (3) planting wild foods at home. For the light picnic you can expect wild drink teas, local bread, local cheese, homemade wild jams and jellies, wild greens, and a wild treat for dessert! 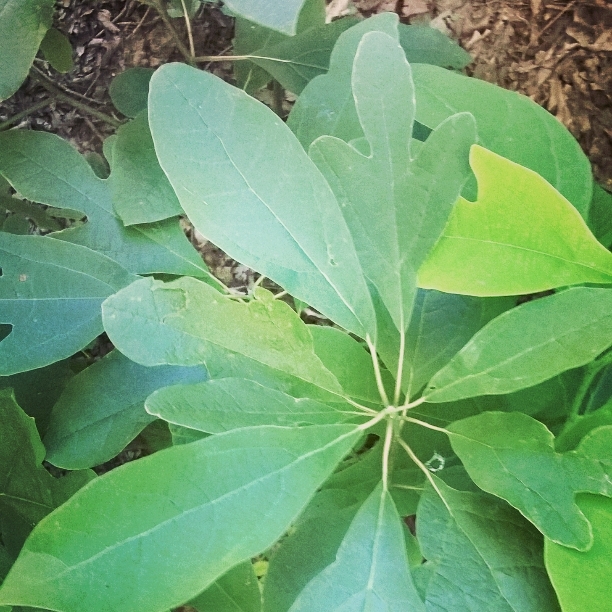 This month’s location – Raleigh City Farm – provides a great example of growing wild edibles in and amongst your other edible and decorative plants! Stick around after the picnic to check out their farm stand if you want some more cultivated veggies (open till 12 PM). 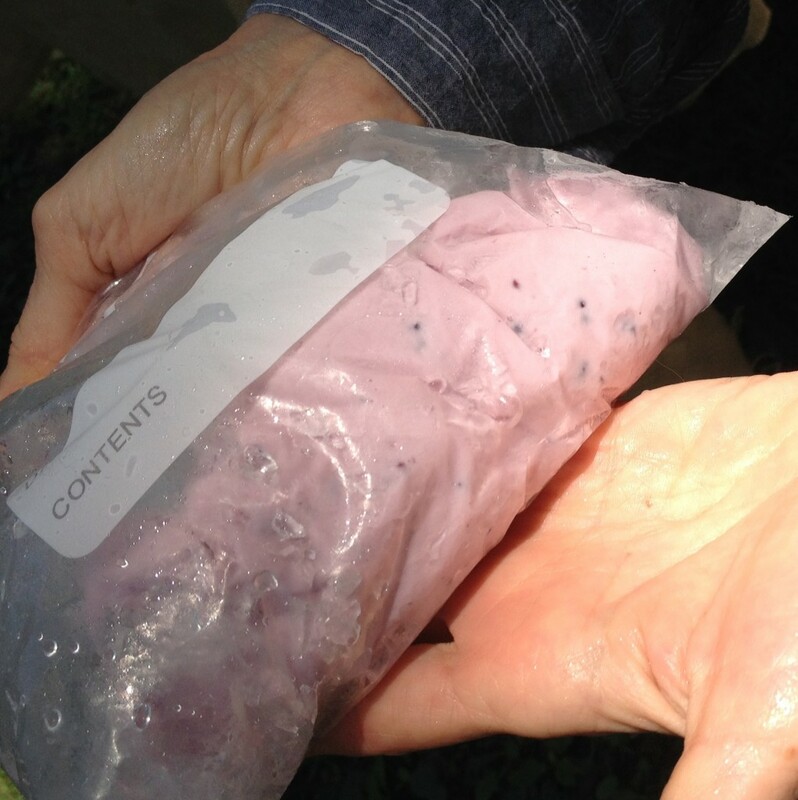 Summer, 100 Miles, and Wild Berry Ice Cream! This past Sunday, Piedmont Picnic Project had a lot to celebrate – and a dedicated group of picnickers braved the heat to come out and help us do it up right! 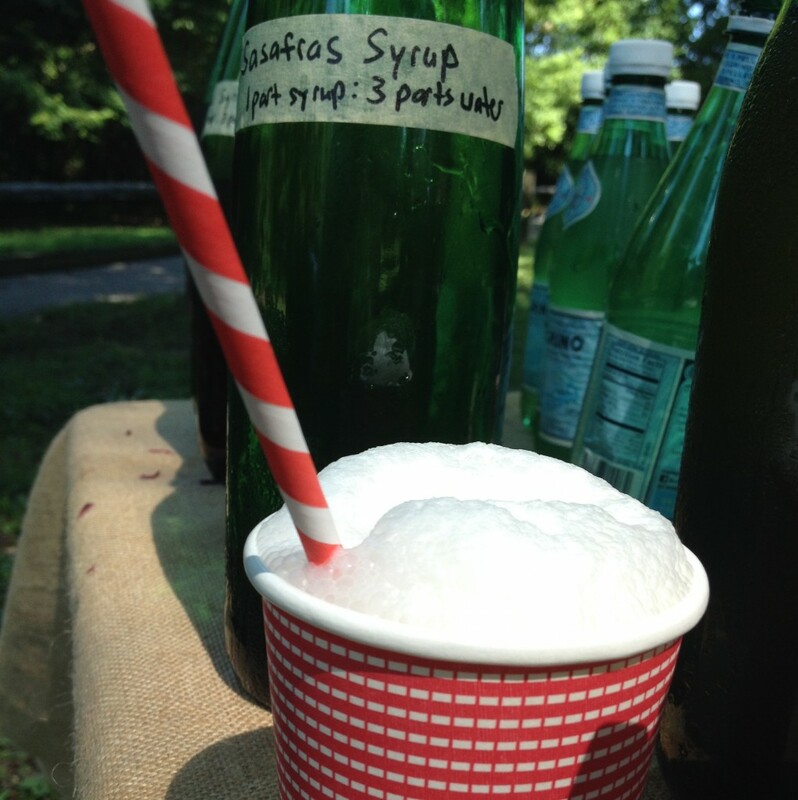 We held our third Wild History Walking Tour + Picnic of the year – a Wild Berry Ice Cream Social. See full gallery here. 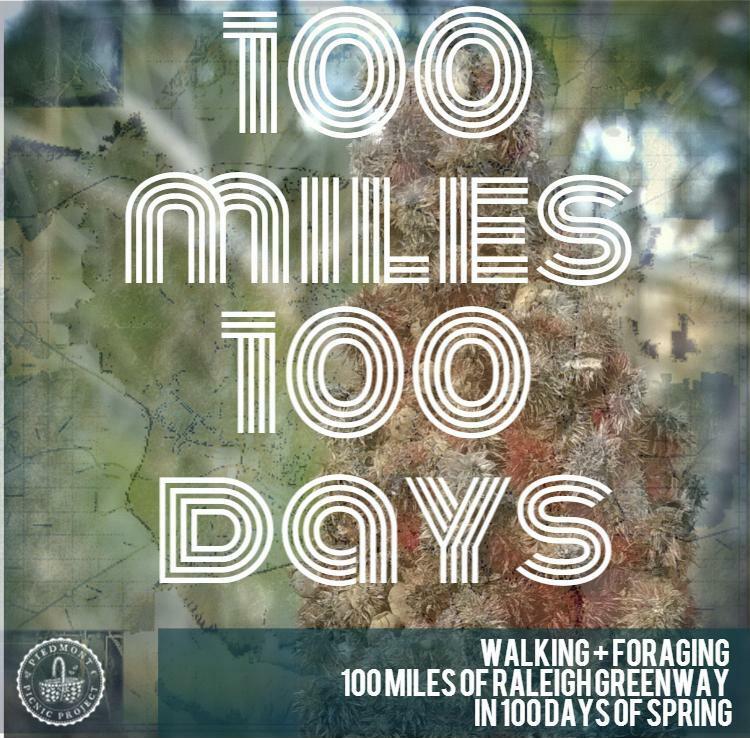 The first day of summer for us meant the end of our 100 Miles in 100 Days series – we had officially walked 100 miles of Raleigh’s greenways in the 100 days from the first day of spring to the first day of summer, cataloging over 70 edible plants growing along the way! You can see all of our finds on our instagram account. 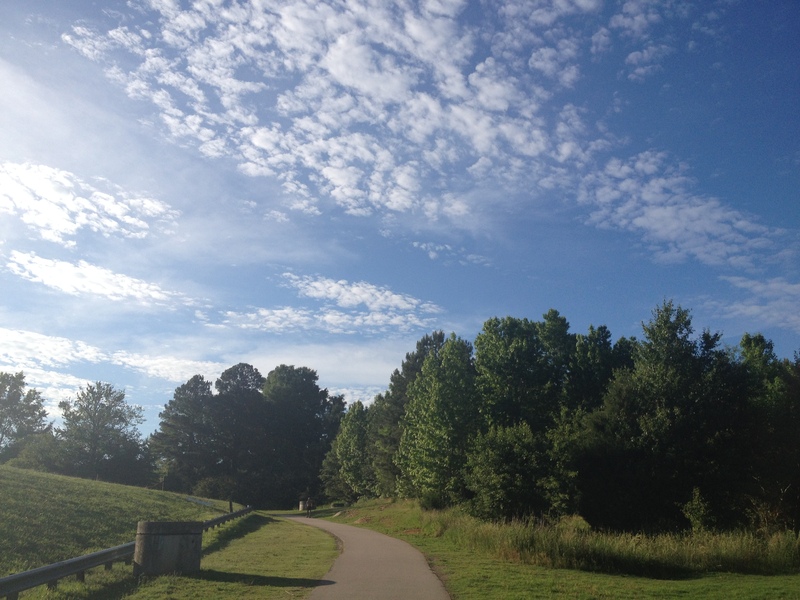 For our location, we chose Dorothea Dix [future] Park in downtown Raleigh. We thought this spot was ideal for this celebration for a number of reasons… This was the first spot I ever foraged berries in Raleigh, so it had special meaning to me. 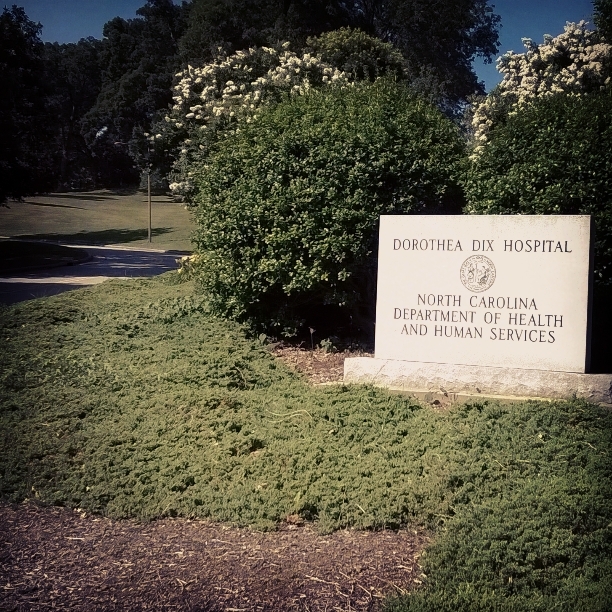 The history of Dorothea Dix the person as well as the place is a rich one, and the place is in transition yet again with its purchase by the City of Raleigh for a park. 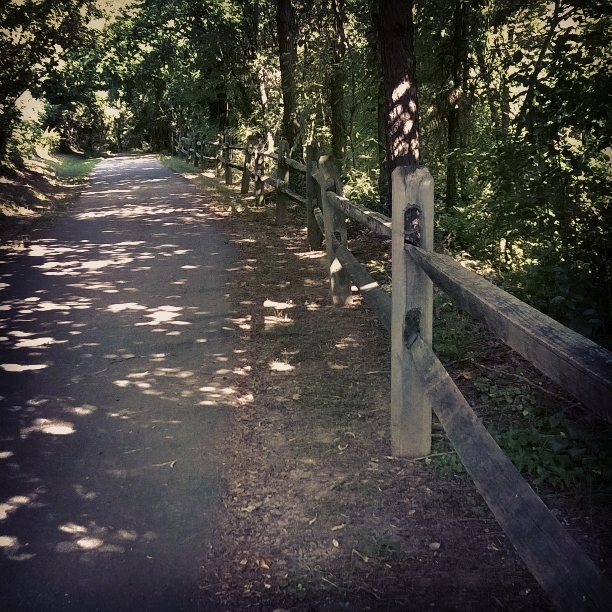 It also is a place from where you can connect to several of Raleigh’s greenways… Continue east to connect to the Walnut Creek Trail all the way to the Neuse River. Continue west on the Rocky Branch Trail to connect to the Reedy Creek Trail to the NC Museum of Art all the way to Umstead Park. Continue south to take the Centennial Bikeway Connector to the NC State Farmers Market and on to Lake Johnson. Continue north connect to the House Creek Trail, Shelley Lake, and beyond all the way to the Raleigh city limits! How connected we are! 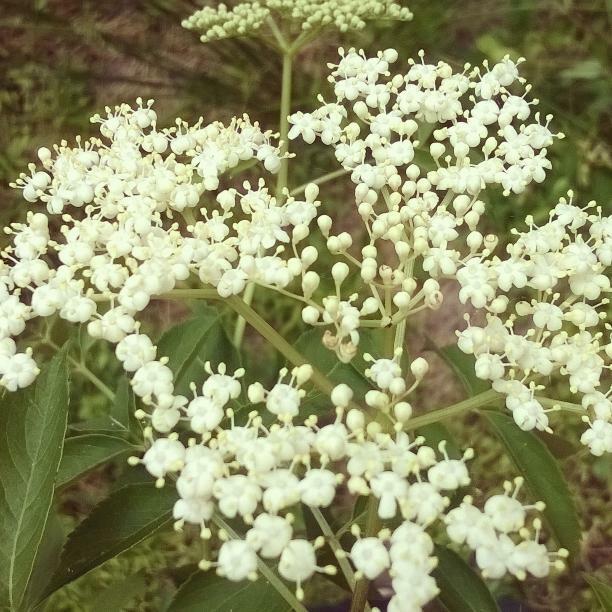 Another thing that made Dorothea Dix ideal for this day and this walk was that the entire Dix campus is rimmed with the perfect foraging environment – the intersection of grassy field with forest – resulting in a tangled mass of wild things brimming with edibles. The edges of Dorothea Dix campus look like many of the Raleigh greenway edges we have seen in our 100 Miles in 100 Days walks. 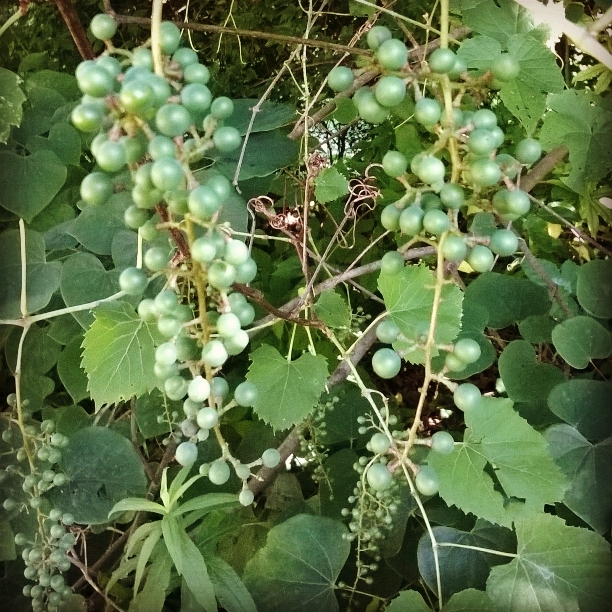 For the foraging walk, we focused on berries – mulberries finishing their season, blackberries beginning their season, and berries to come later this summer – muscadines and elderberries. Surprisingly, the plant that may have out shown all of these berry jewels was the easily-missed sassafras tree! We put our picnickers to work making their own ice cream for the first course! and a full wild soda bar for mix-and-match ice cream floats. We can’t think of a better way for us to have celebrated the first day of summer and the culmination of our 100 Miles in 100 Days journey, and we are grateful to those who chose to spend their Father’s Day with us! So what will we do now that our 100 Miles in 100 Days challenge is over, and summer has begun? 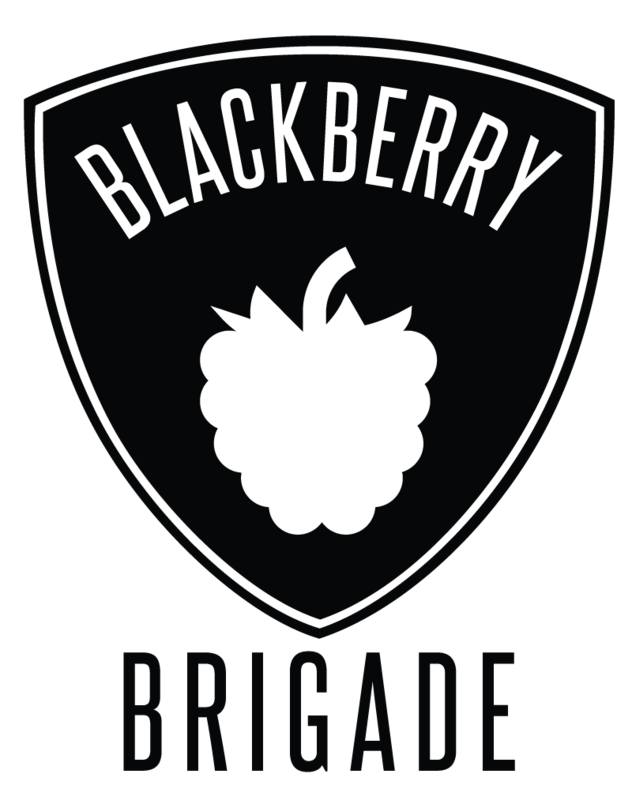 Stay tuned for our upcoming events, especially coming up in July – the Blackberry Brigade – blackberry picking competition for a cause! Also, our theme for summer will be “Put it up!” – where we’ll focus on how to put up and preserve the summer’s bounty so that you can continue to taste summer all year long out of your pantry and freezer. Piedmont Picnic held their second Wild History walking tour and picnic of the spring this past Saturday! We had a big bunch of friendly, enthusiastic picnickers and a beautiful day along Lake Raleigh – one of our favorite spots so far along the Raleigh greenways during our 100 Miles in 100 Days series. See full gallery here. Along the walk, we learned about wild edibles growing right now in this location – wildflowers, green shoots, and even mulberries! 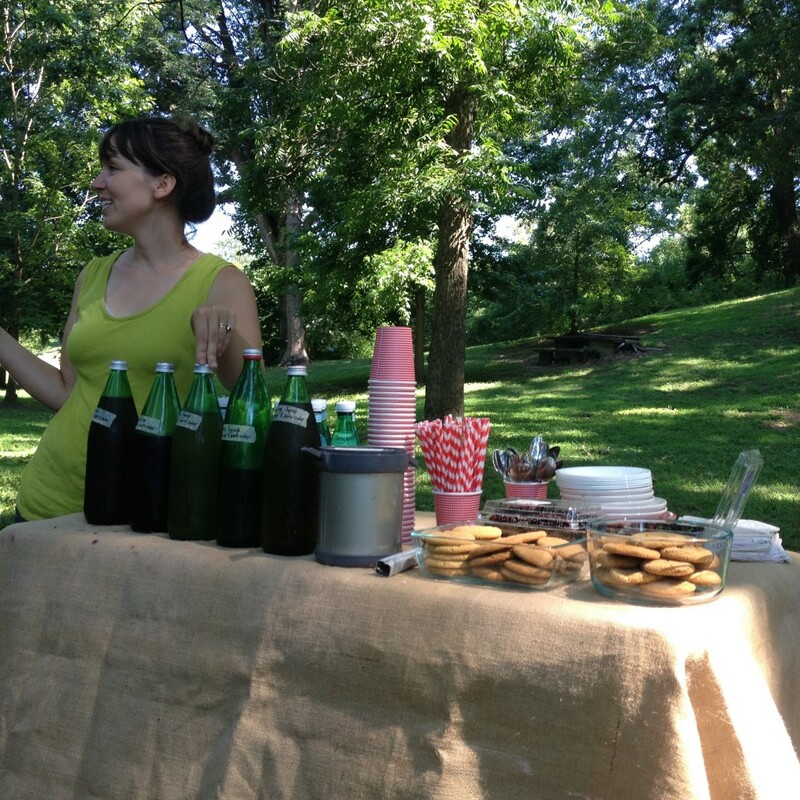 Talking #mulberries at this past Saturday’s #WildHistory #Foraging Tour + #WildFood #Picnic! The picnic was one of our more decadent affairs – because eating flowers of course lends itself to sweets! Wild weed salad, Trappist honey bread, and yogurt cheese were accompanied by honeysuckle sodas, wildflower jelly thumbprint cookies, and intoxicating wisteria ice cream! 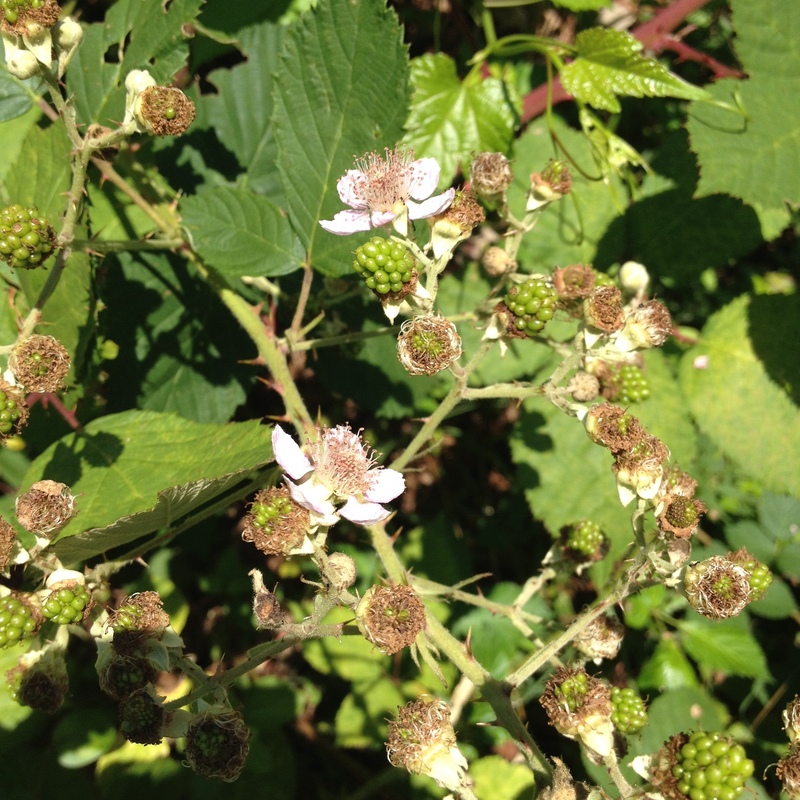 Found our first ripe blackberries of the season on our #WildHistory walk today! It was truly a blast, thank you all for sharing the afternoon with us! 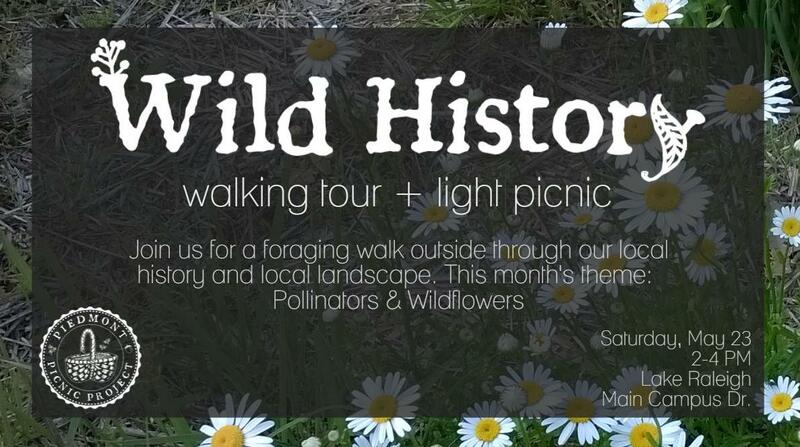 Piedmont Picnic is excited to host our second Wild History walk of the spring season! 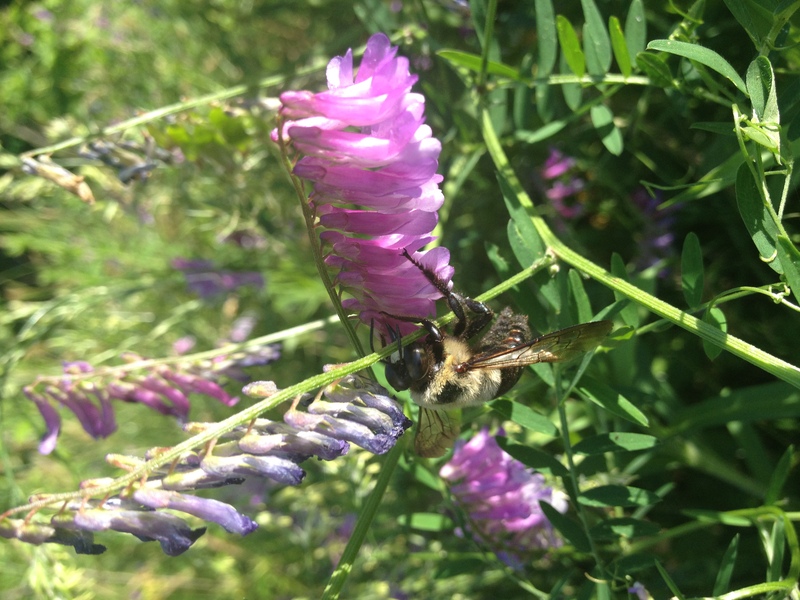 This walk’s theme will be about pollinators and wildflowers. 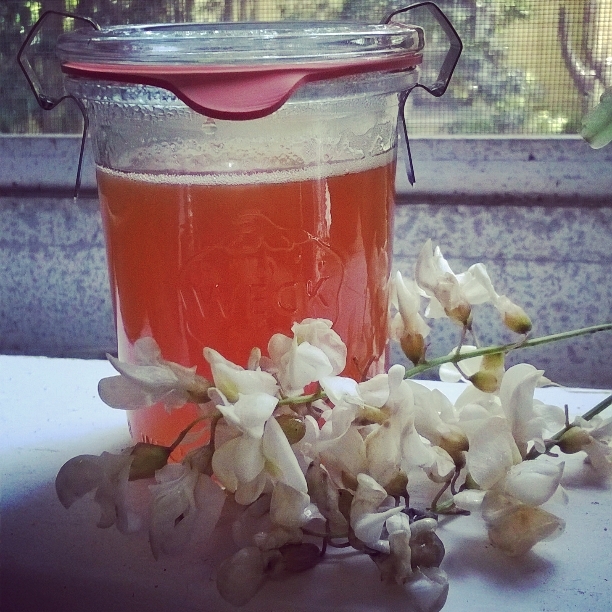 And follow it all up with a wildflower & honey themed picnic of homemade cheese, bread, wildflower jellies, and more! You can get TICKETS HERE! 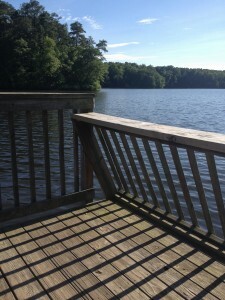 For our location, we’ve chosen the lovely shores of Lake Raleigh on NCSU’s Centennial Campus. This accessible and scenic spot is buzzing with more than just State students! Many edible wildflowers, berries, and greens are available along its shores, as well as all different kinds of pollinators! Because it falls along the the Walnut Creek Trail of the Raleigh Greenways, it’s an ideal fit for our 100 Miles in 100 Days campaign. See our listing on our Events page for full information on the activities, directions, and parking. Get TICKETS HERE. 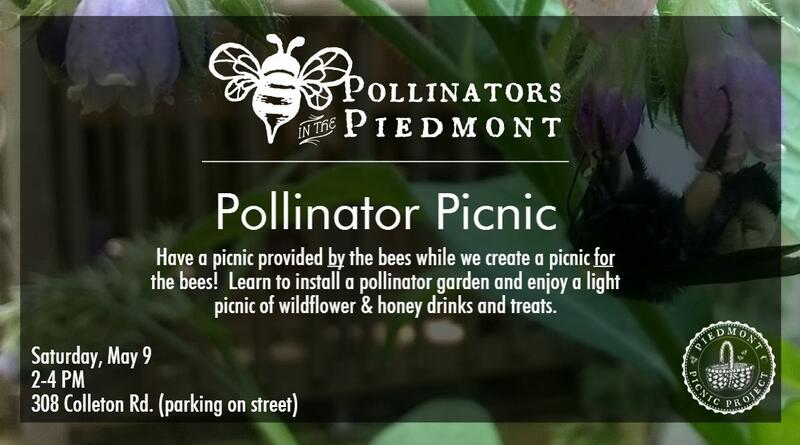 For the month of May, Piedmont Picnic Project will be focusing on pollinators, all they do for us, and what we can do for them! What can you expect from our Pollinators in the Piedmont series? Come have a picnic provided by the bees while we create a picnic for the bees! Learn how to install a pollinator garden at a personal residence while enjoying a light picnic of wildflower & honey drinks and treats. 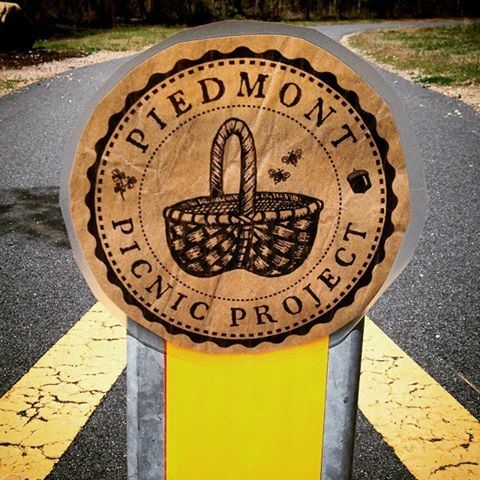 Join Piedmont Picnic on another Wild History walk where we’ll point out wild edibles along the way while we share the history around our topic and location! This month’s theme will be… what else? Pollinators! 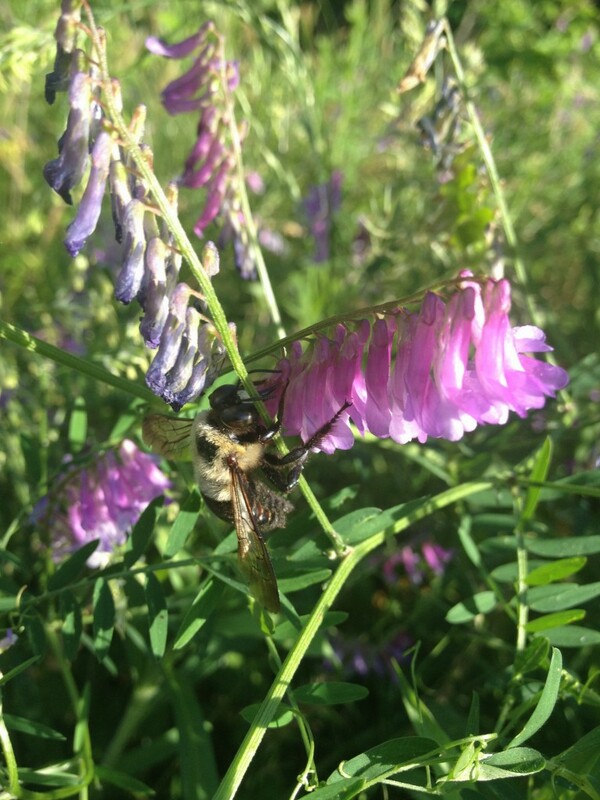 So we’ll talk bees, stings, pollinator habitat, honey, and wildflowers… of course! Our TBA location will be at a surprise location along part of Raleigh’s greenways, as part of our on-going 100 Miles in 100 Days series, walking and foraging all 100 miles of Raleigh’s greenways in the 100 days of spring! Our blogging will also be following our pollinator theme – looking into all things wildflower, bee, and honey! Topics will include any and all of the following, and more! Saturday was our first Wild History Walking Tour of the spring, and it was great way to kick off the spring season and our 100 Miles in 100 Days blogging series – where we’ll be walking and looking for wild edibles all along the 100 miles of Raleigh greenway during 100 days of spring. We met at Milburnie Park and headed down the Neuse River Trail to Milburnie Dam, taking full advantage of Raleigh’s gorgeous greenways. We had a sold-out group of very enthusiastic foragers – such a fun group! We found lots of great examples of wild spring greens, and learned a little more about the history of the area along the way – including Milburnie dam and bridge. The weather cooperated beautifully – with cool, crisp temps but also abundant sunshine! The day ended with a delicious spread of hot henbit-ground ivy tea, wild greens pesto, wild greens salad, local cheese, local bread, and hickory nut cookies! I received one of the best compliments I think I’ve ever had on our wild foods picnic – that it was better than a steak dinner. Wow! I’ll take that! #WildHistory Picnic with foraged greens and maple syrup dressing from locally tapped maple. 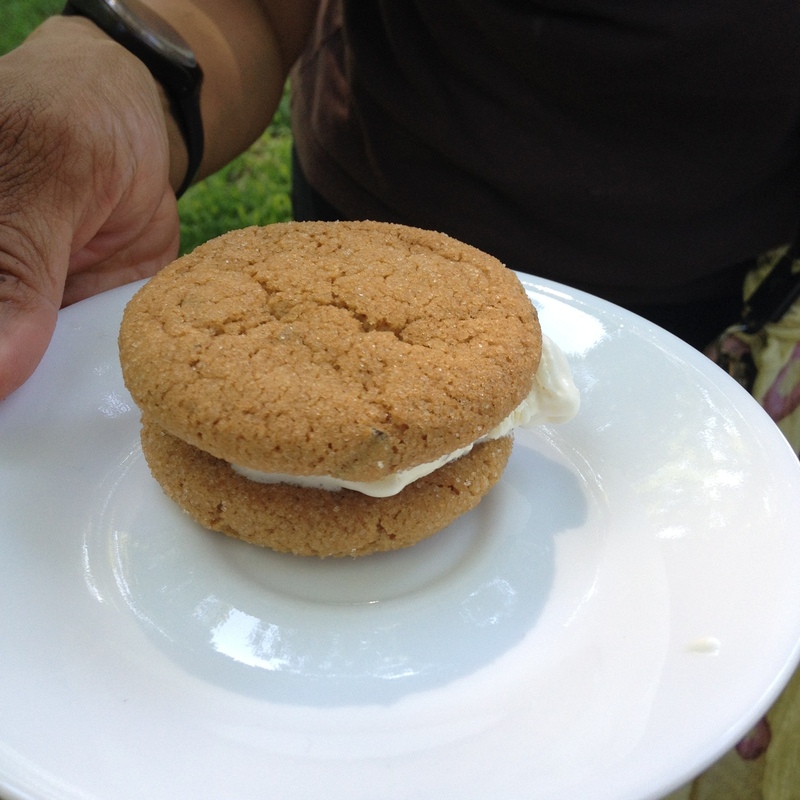 Oh, and hickory nut sandies! If you were one of our attendees, we want to thank you so much for making it such a fun experience! If you missed us this time, don’t worry, there will be many more opportunities to join in the fun!